We have been having lots of fun getting to know each other and starting our Junior Infants work. Have a look at what we get up to! 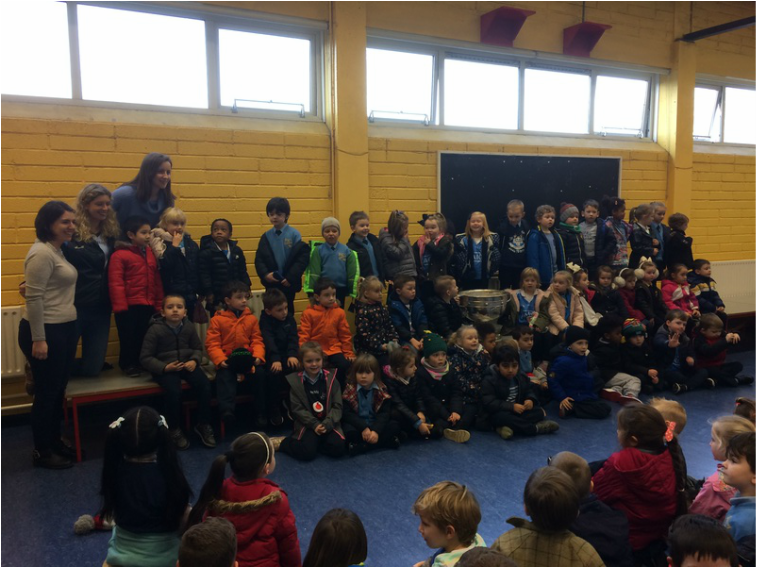 Welcome to Junior Infants Room 1 2016/2017. I am Mrs. Dunne and I am really happy to be teaching Junior Infants. There are 17 lovely children in the class; 9 girls and 8 boys. We are all getting to know each other and becoming friends. I have taught this age group multiple times and really enjoy them. I am always amazed at the progress the children make in Junior Infants. They grow so much in confidence, ability and socially. It is a super age to teach and while we work hard, its always great fun and there is always time for a giggle! I hope the children enjoy the year as much as I know I will. Pop by this website every so often to see What has been going on!